Turn heads and take the road by storm when driving the 2018 Dodge Charger. Front to rear, nearly every piece of sheet metal is carefully recrafted for a striking, muscular look, starting with new projector headlamps, LED lighting, and the signature split crosshair grille. In the rear a new three-piece low profile spoiler enhances the athletic lines of this muscular beast while full-width racetrack LED taillamp gives a lasting impression to those left in your wake. Inside, performance seats are designed to hold you firmly in place while the available heated and ventilated Nappa leather trim, with perforated Alcantara suede inserts, wraps you in comfort. Choose from a choice of 3 engines including the 300hp 3.6L Pentastar V6, a 5.7L 370hp HEMI V8, or the startling 6.2L Supercharged V8 with 707hp in the SRT Hellcat. 8.4 inches of total control is yours thanks to the Uconnect systems with downloadable apps. The Charger R/T Road & Track includes performance pages with configurable drive modes that allow performance adjustments to the engine, transmission, steering response and traction control. The 7-inch reconfigurable digital cluster display lets the driver choose what information is displayed, including 0-60 time, reaction time and a lap timer for those keeping score. The Charger helps you maintain control and protect your passengers with more than 80 available safety and security features, including Lane Departure Warning with Lane Keep Assist, Full Speed Forward Collision Warning Plus with Crash Mitigation, Adaptive Cruise Control Plus with Full Stop Functionality, Advanced Brake Assist and more. MSRP shown does not reflect actual price of the vehicle. MSRP does not include any dealership added accessories that might have been installed. All prices subject to availability. Make an appointment with the Internet Department for best available deals. 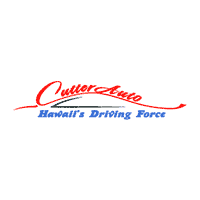 To make your appointment contact the Internet department today at 808-564-9900. Internet appointments come with hassle free negotiations. Come check out the better way to buy.